At the Lara Law Firm, our team handles a full range of personal injury matters throughout the Tucson, Arizona, metropolitan area. We are known for our honest, professional and compassionate approach when assisting injured clients and their families with their cases. Knowing that the claims process can be a frightening and uncertain time for those who are recovering from injuries, our aim is to retain the human element in our business, rather than treating clients as case numbers. A motor vehicle collision or other accident can disrupt every moment of a victim's life. The weeks following the accident are usually consumed with filling out insurance paperwork, dealing with investigators and meeting deadlines, while attempting to recover from physical and mental injuries at the same time. We understand how overwhelming the entire process can be. We have helped countless clients through the difficult process of filing their claims and getting back on their feet. We know that this period can be stressful, but we strive to keep the stress to a minimum. 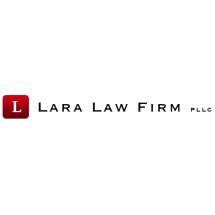 At the Lara Law Firm, we are committed to keeping our clients informed and empowered. From the initial phone call to the finishing stages of a case, we are accessible and prompt in answering questions and calls. In fact, we aim to assist clients even after their case is closed, knowing that sometimes complications will arise or a new hurdle will be placed in the path of those recovering from injuries. We welcome new clients and offer a complimentary initial consultation.